A friend replace the track rods and track rod ends in December and I got the tracking done the same day, the car has had a steering wheel pull since , not a major pull but still. Anyway it's been confirmed that they now need replacing again, the tie rods and the tie rod ends. I am a novice atm when it comes to car repairs but I have a car repair manual and access to a friends tool set so I want to give this a shot myself as I would like to learn. 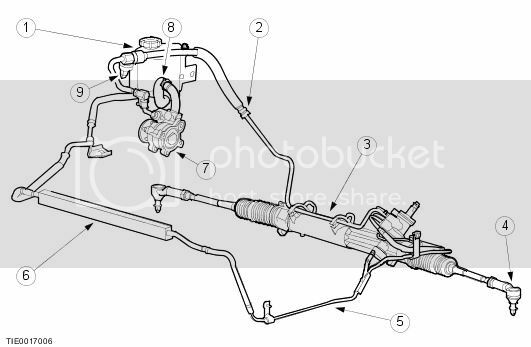 I'm confused, the procedure to replace track rod ends is in the manual but I cannot see the replacement procedure in the manual to replace the tie rods themselves ? Some terminology differences, different parts of the world. First track rods, then tie rods, same thing? Here the tie rods and ends are out of the steering rack to the wheels, for steering. Track rods, not familiar with that on the front end of your car. Rear could be an arm out to the wheels. To answer your question about replacing the tie rods themselves, you need to unclamp the boot from the rack, pull it back over the tie rod, and then, using a special tool, unscrew the tie rod from the steering rack. On some vehicles it is possible to just use a large adjustable wrench. This Youtube video should be very similar to your car. At the point of removing the outer tie rod end from the steering knuckle, I'd advise leaving the nut on several threads while you hit the knuckle arm with the hammer. That way if you miss you won't mess up the threads! !